Happy New Year! 2019 is off to a fast start for The Catholic Foundation of Central Florida, and we hope yours is starting off well, too. 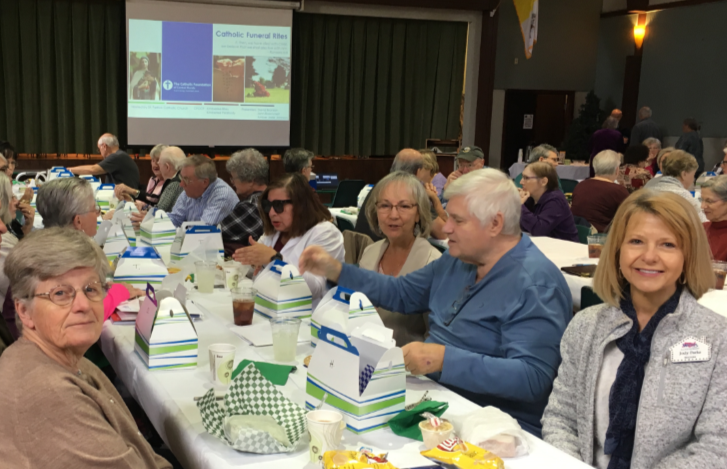 We started the new year with seminars and community engagement to better serve you, and have planned a series of Catholic-focused investor conferences beginning in February. We are grateful for your generous support and look forward to partnering with you and our pastors to make 2019 another blessed year in Central Florida. God bless you and your loved ones! As we begin the new year, many of us are beginning to think about filing our federal income tax returns and wondering how the partial government shutdown earlier this month may affect our refunds. Good news! The IRS announced on January 4th that they will begin processing 2018 tax returns this week (January 28) and issuing refunds despite the recent partial shutdown. As you prepare to file your return, remember that the Diocese of Orlando’s entities issue separate donation confirmation letters. Confirmation letters for gifts to Our Catholic Appeal and parish capital campaigns began mailing on January 25th from The Catholic Foundation of Central Florida. Confirmation letters for gifts to parish offertory and other parish programs will be mailed from your parish by January 31st. To learn more about giving to our schools, please click here. The Catholic Foundation of Central Florida’s leadership team, board of directors, Carol Brinati, Chancellor for the Diocese of Orlando, and Bishop John Noonan met this month to discuss better ways to serve you. The meeting is part of an ongoing series that will establish a new strategic plan for The Foundation. A final plan is expected to be announced this spring. Led by Campaign Director Doris Quiñones, Catholic Foundation staff met with Father José Bautista, Father Nazaire Massillion, and more than 40 St. Catherine of Siena parishioners in Kissimmee to learn how the Foundation can better serve the Spanish-speaking Catholic community. 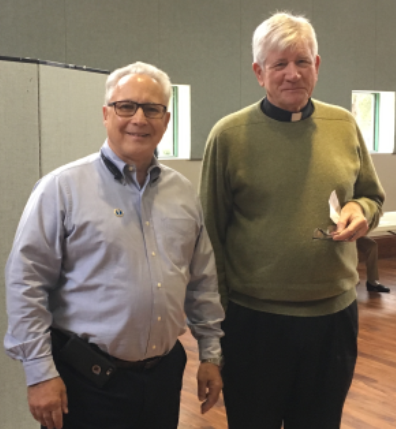 We are grateful for the parishioners who shared ideas including the need for timely Spanish-language correspondence, opportunities to engage youth volunteers, and other options we hope to pursue in the months ahead. Through your generosity, Our Catholic Appeal raised more than $16.7 million in 2018 to help support every parish, ministry and school in the Diocese of Orlando. We are grateful for you and the more than 42,000 families who participated. Your giving supports seminarians, retired priests, Catholic schools and it provides faith-formation experiences for thousands of people across our nine-county area. Your kindness also helps to feed hungry families, educate children and provide health care to the sick or elderly. The 2018 OCA campaign officially closes on Jan. 31.